Rain rain here to stay.. So let’s look at some furniture, shall we? Here are the latest Craigslist scours. And to those that tag their postings “mimomito” – we <3 you! Elk Grove has got a big boy Plycraft wannabe for $120.00. Loungey loungin’. Rad Danish rocker! Pricey, but I love rocking chairs so I will ALWAYS POST A GOOD LOOKIN’ ONE! $900.00 for this Danish Bramin Mobler rocker. Weird little $40.00 chest that opens up from the center – In Folsom! I like that price. $20.00 for this cubey end table in North Highlands. For that DOUBLE-WIDE loungin’ and lovin! $600.00 chaise lounge in Carmichael. Faboo price! $75.00 vintage Safari chair in Sacramento. Ruh roh! Looks like couch here just needs some new cushion foam! $100.00 in South Land Park. Interestin’ $60.00 beigey/orange highback chair at Watt & El Camino. Walnut dresser with.. nine drawers? $495.00 in East Sac. Who was nice enough to show us around: Scott and Meong. What they told us about their home: An amazing 3 1/2 bedroom/ 2 bathroom Streng home designed by Carter Sparks. When was the home built and when they moved in: The home was built in 1978 and they moved in 1995. Why they chose this home: Scott and Meong own a business which provides residential care facilities for the elderly called Camelot Care Homes and when they first decided to shop for their first home for their business, they found their Streng. They loved it so much that they purchased it for themselves and gave up their previous home for their business. I’m a mid-century modern design myself. I was born in the mid 50’s, so I grew up with it. My uncle had a “sputnik” chandelier in his entry way and I was always intrigued by it – very space age, which was the theme back then. Much of the news had to do with the space race and every day items began to take on the characteristics of satellites, and real or imagined space ships. Anyone born around that time has it in their DNA. The clean lines, the sleek, uncluttered design – it’s very appealing. When we bought our Streng home it was a very gradual process learning about MCM design. And then we bought some George Nelson bubble lamps and things sort of took off from there. George Nelson, Eames, Noguchi, Arne Jacobson, Saarinen all the usual suspects. We like mid-century modern and modern very much. As for our modern furniture, the Jesse wall unit and bookcase and Bonaldo couch are all Italian design. I was also very influenced by Zen Buddhism in my 20’s so the concept of simplicity is still important to me. I have much respect for anyone who is willing to track down an original – (plug in any of the names in the previous paragraph). To find something from that era that is still in presentable and serviceable condition, or to re-hab it until it is, takes a lot of time, work, dedication and usually money. My Eames sofa compact, Nelson marshmallow sofa, and Noguchi table are all authentic and license originals but were produced recently rather than in the 40’s or 50’s. Some collectors frown on this and only consider the old production runs authentic. The benefit is that you are getting the item in brand new condition and it’s created by usually using the original machines, materials and production process. 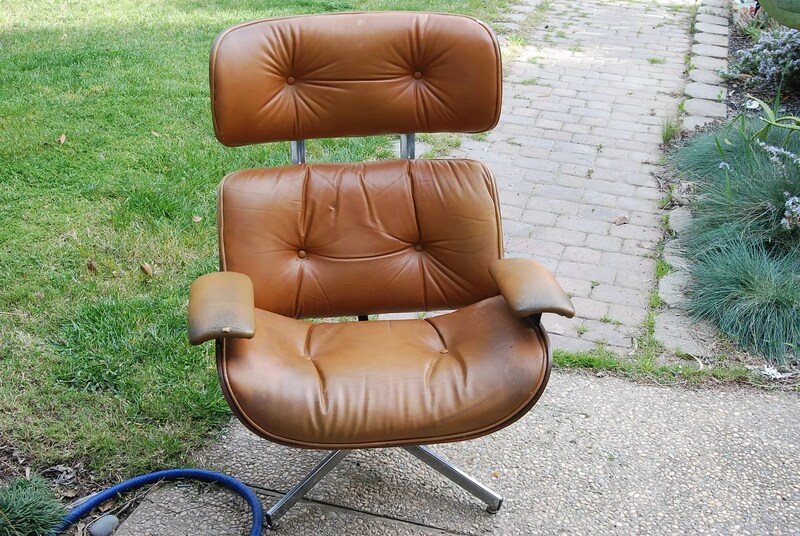 I also have high quality reproductions of the Barcelona chair and the Jacobson egg chair that I found on the Internet and a pretty decent knock-off of the Eames Lounge chair that I bought at Scandinavian furniture. The high end reproductions are so good that only an expert could tell that it is not authentic, and the quality is often right up there with the original. You’re saving thousands of dollars and still getting some very cool furniture! Furniture wise, what do you think you should invest in? Whatever you like and can afford. If your budget is really limited, save up for one nice piece that really knocks you out. Make it your centerpiece and build from it. It’s fun to see the puzzle gradually come together. 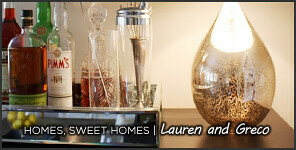 What are your favorite places to shop for home décor? I miss Design Within Reach, which closed in mid-town a few years ago. The nearest one now is in Palo Alto in the Bay Area. 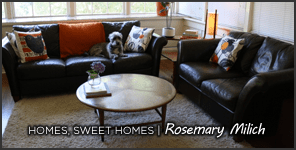 Try Scandinavian furniture, Ikea, Scout Living, and my favorite – Midway antiques on Madison, which features Google Time – the owner has lots of great MCM stuff – especially Danish, Lumens and Limns round off the list but don’t forget the internet as well. Atomic Ranch magazine has lots of interesting advertisers and some nice websites. What are some of your great finds? From where? I had been searching for years to find a proper cabinet to store my cd and dvd collections (yes, I know there are some younger readers asking, “What on earth is a cd and a dvd?”) I know these are going the way of the dinosaurs and record albums, but damnit, I have much more music than I can ever store in my iPod and lots of great movies that want and need to be stored and displayed properly! On that note, the high-end storage units at Ikea allow you to “design it yourself”, and the quality is excellent. A very modern design as well. We had also been looking for dining table chairs, and were resigned to spending $300-$400 each when I discovered some very retro/modern molded plastic chairs that went perfectly in our dining room. The best part is that they were only $99 each. Once again Ikea came through for us. Greatest achievements in your home? Biggest challenge? Future goals, projects? My wife and I are happy with how mid-century modern, modern, Asian and tropical all work together to create a harmonious but exciting space. Our biggest challenge is being patient in this economy. During the go-go years we would just spend the money if it was there or not. Lately we just save and plan carefully for the next purchase. Proper lighting is a very important part of a modern home. Unfortunately Carter Sparks didn’t have room for any crawl space or attic so it is very expensive and time consuming when our friend the electrician comes out. Instead of just cutting holes and dropping in fixtures from above, all wiring has to be threaded blindly through insulation, fire blocks, and strangely place joists from below. We still need lots of canned lighting throughout the house to highlight artwork and furniture pieces. A big section of glassblock is dying to go up in the master bedroom. The bathrooms need a complete remodel and so does the kitchen. Ouch!! Yes. Just keep plugging away. To me it is like putting a jigsaw puzzle together. Some sections are easy to complete, others come together only after you have completed a different section. Thanks to Scott and Meong. I absolutely love what you’ve done with your home!